I have always been really good at thinking about resolutions. I am spectacularly less effective at actually keeping resolutions. While his laissez-faire approach towards self-improvement was quintessentially that of an adolescent boy, it got me thinking: At what point in my life did I start feeling the need to make a New Year’s Resolution? And am I really doing myself any favors by starting a New Year that way? Let’s presume I picked up the habit sometime in high school, when the need for personal self-discovery was high but the ability to self-accept was still years away. Periodically through my twenties, I’d take on the standard “get fit, eat healthy, be better about sending birthday cards” resolutions, but inevitably fail by the time my oldest friend’s birthday rolled around on January 28. Ironically, my 2010 MS diagnosis freed me from arduous self-censure for not keeping my yearly resolutions. I finally quit torturing myself for throwing in the towel on running a 5k back in 2006; it turned out the actual problem of my right thigh electing to embark upon an inexplicable 9-month sensory loss program following the birth of my 2nd son was far less about me being a quitter and way more about the post-partum relapse features of a disease I didn’t even know I had. Perhaps even more ironic, it was 4 months after diagnosis when I finally achieved the long-unresolved goal of finishing a race—although in retrospect, doing so was probably a result of lingering effects from post-apocalyptic IV steroid use and equally heavy doses of denial. In a quest to uncover my complex relationship with resolutions, I found an essay I had written on January 2, 2011: “I’ve decided to make more than one resolution this year in the hope that I’ll nail at least one by the time I have to make up stories about Santa Claus for the boys again”. An initial dose of amused self-congratulations for the ingenious idea to give myself multiple options for success—I made a whopping 32 resolutions that year!—was almost immediately taken over by a sad realization: Already on the 2nd day of 2011, I’d basically discounted 2010 as a failure that needed to be improved upon. Worse than that, I was resolving stuff with an air of expectation that I would probably fall short yet again. And isn’t that the real danger of a New Year’s Resolution—or several of them? It’s not that I won’t lose those 50 lbs I’ve been hanging onto since before there was anyone named Kardashian on TV; it’s that in an effort to keep reaching for self-improvement, I’ve essentially decided that whatever I did last year wasn’t good enough—when the truth is, just getting through the day is usually a tremendous accomplishment! To be fair, my resolutions of January 2, 2011, ran from the really important (“I resolve to do my stupid injections on the stupid schedule I wrote down in my stupid planner”) to the downright impossible (“I resolve to mail my brother’s toothbrush back to him in time for his birthday”.. in October). Some were baby-step concepts I had no idea would become real-life methods of survival 5 years later (“I resolve to continue leaving the lines of communication open for those who want it, and maintain a guilt-free conscience if they don’t”), and some I will be focused on working towards for a long time (“I resolve to be the kind of woman I’d want my boys to marry”). Seven were about health (“I resolve to eat fish once a month; I know Dr. Oz says to eat it twice a week, but he probably likes fish”), while an eye-opening eleven were about organization (“I resolve to re-introduce the pillowcases to their matching sheets and store everyone together the way God and Target intended”). 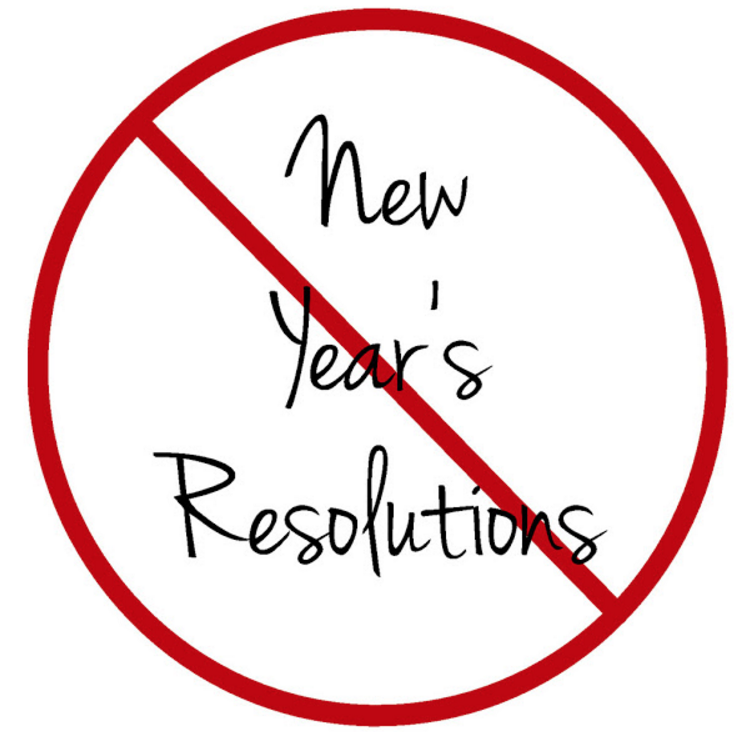 Some resolutions actually ended up resolving themselves (“I resolve I won’t lie to my husband when he asks me if I ate the last cookie”)—funny how even divorce has a silver lining!—and I really hope some will be on the docket again for this year (“I resolve to take a long, kid-free weekend trip with my sister”). Although I’m incredibly glad I wrote those down, I think 2016 deserves something else for me and anyone else tempted to eyeball a resolution. What if we MS fighters gave ourselves a break from the pressure of doing/being more in 2016, and instead honored how much we’re already achieving by simply “keep on, keepin’ on” like we did last year? Think of how much we’re accomplishing compared to the average population, just by LIVING our lives: by taking all our meds, supplements, etc. as prescribed/recommended, being aware how the disease affects us individually, and advocating for our best interests; by exercising both mind and body in some form; breathing, stretching, and keeping any eating-directly-from-the-ice-cream-carton sessions to a minimum; taking our days, with all its expectations and limitations, one at a time; making plans, but also making Plans B-D (’cause we all know how MS likes to roll); working with the body we have versus the body we’d prefer; acknowledging and appreciating our support systems, and even our tough circumstances… As MS prizefighters, what we’re really doing by not making resolutions is recognizing we’re enough–AS IS! !–and allowing that alone to be the foundation upon which we build 2016. I’m on board for that kind of resolution, and please keep me posted how it’s going with you doin’ you.